Sequence similarity searches, multiple sequence-structure alignments, and homology modeling within PyMOL. 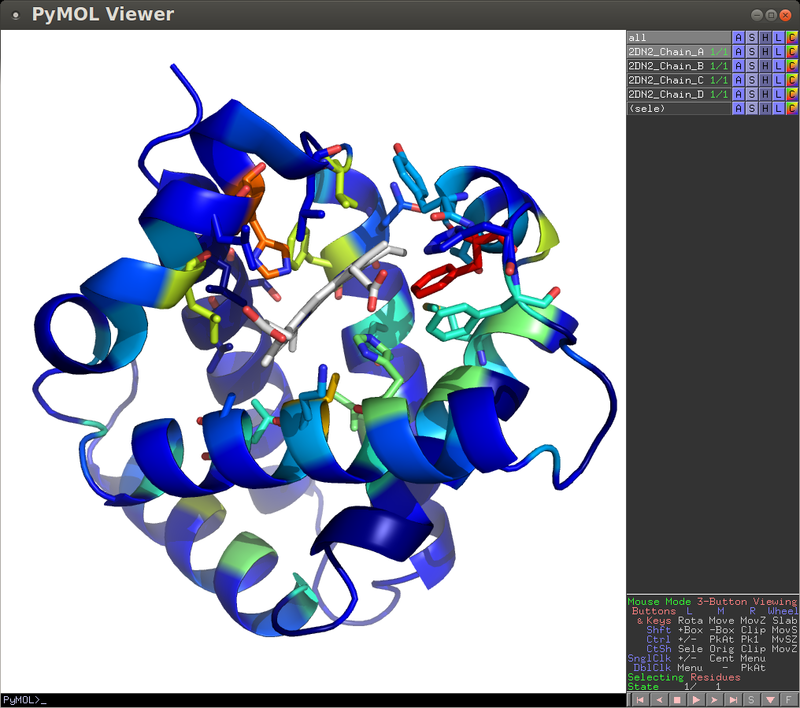 PyMod 2.0 is a PyMOL plugin, designed to act as simple and intuitive interface between PyMOL and several bioinformatics tools (i.e., PSI-BLAST, Clustal Omega, MUSCLE, CAMPO, PSIPRED, and MODELLER). The current PyMod release, PyMod 2.0, has been extended with a rich set of functionalities that substantially improve it over its predecessor (PyMod 1.0), particularly in its ability to build homology models through the popular MODELLER package. Starting from the amino acid sequence of a target protein, users may take advantage of PyMod 2.0 to carry out the three steps of the homology modeling process (that is, template searching, target-template sequence alignment and model building) in order to build a 3D atomic model of a target protein (or protein complex). Additionally, PyMod 2.0 may also be used outside the homology modeling context, in order to extend PyMOL with numerous types of functionalities. Sequence similarity searches, multiple sequence-structure alignments and evolutionary conservation analyses can all be performed in the PyMod 2.0/PyMOL environment. Above: PyMod 2.0 main window loaded with a multiple sequence alignment consisting of the human alpha globin chain and a subset of sequences from the PFAM seed alignment of the globin family. Above: the structure of the human alpha globin chain loaded in PyMOL has been colored according to the evolutionary conservartion of its residues as computed in PyMod 2.0 using the CAMPO algorithm.